A new analysis of smartphone application prices has found that content sold on Google Android has an average price two-and-a-half times higher than that of Apple's iPhone. The data was released on Thursday by Canalys, which reviewed the top 100 paid applications in the Android Market and compared them to the top 100 on the iPhone App Store. On average, the top 100 Android applications cost $374.37, or an average of $3.74 per application, compared to the $1.47 average on Apple's App Store. The numbers led Canalys to declare that applications sold on the Android market are "too expensive," and conclude that Apple's "more mature, controlled" digital storefront raises competitiveness and lowers the price of software. "That developers can apparently charge more for their apps on Android and make it into the top paid list is clearly a positive," said Rachel Lashford, Canalys managing director for Mobile and APAC. "But the reality is that with fewer people willing to purchase apps on Android than on iOS today, there is more of a necessity to do so." "Developers and publishers need to balance the iOS volume opportunity with a potentially greater value per download opportunity on Android, where more apps command higher price points. Selling more apps at higher prices is the Holy Grail for developers, but achieving big volumes of paid apps on Android is no small challenge." The survey found that 82 of the top 100 paid applications in the U.S. iPhone App Store are priced at $0.99. In comparison, just 22 of the top 100 on the Android Market are under a dollar. It's been long established that developers make far more money from Apple's iPhone App Store than they do Google's Android Market.One recent analysis found that iOS applications bring in 300 percent more revenue than their Android counterparts. 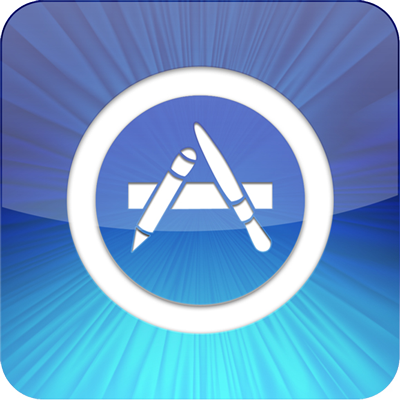 Apple revealed in January that it has paid more than $4 billion so far to App Store developers. Sales and earnings have only grown in revenue since the App Store first launched in 2008 as the iPhone has gained in popularity. Beyond mobile application prices, Canalys also found other key differences between the Apple App Store and Google Android Market. For example, among the top 100 applications listed in both storefronts, only 19 applications appeared in both lists. "It is clear that apps or games that prove to be runaway successes on the iPhone do not automatically prove to be so popular with Android smartphone users," Canalys Senior Analyst Tim Shepherd said. "Apple's App Store and the Android Market are very different retail environments. The former is now a mature but still very closely controlled retail environment, while the latter remains more open but also less secure and consumer friendly." Developers have adapted to the differences between the platforms to try to maximize sales. For example, Electronic Arts routinely discounts its iPhone games to give them visibility among the App Store's top 25 list, as visibility is crucial.